Find here your H10 Hotels coupons and deals. 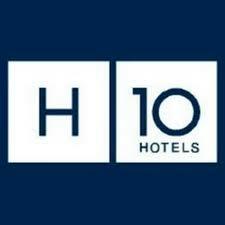 H10 is one of the 10 leading hotel companies in Spain and is currently expanding in the Caribbean and Europe. Its new brand Ocean by H10 offers luxury all-inclusive resorts with Spa Centers, Diving Centers and idylic Caribbean locations in key territories for the American market. Multilingual website available in 6 languages. Rewarded with many renowned prizes in hotel management such as TripAdvisor Certificate of Excellence. H10 Hotels was established in the early 1980s, when it began operating in Spain’s main holiday destinations. Today, the company has more than 60 hotels in 18 destinations, with more than 15,000 rooms, the majority of which it owns.